If I’m not mistaken – and since I’m a smart guy the chance is almost nihil – ‘Arkona’ is the name of a cape on the Rügen island, nowadays in Germany (Baltic Sea, close to Poland), where the Slavic fortress Jaromarsburg was built. Like many castles, it has been a source of inspiration for many Metal bands. Behemoth’s first recordings, for example (at the time that they did still play ‘real’ Black Metal), referred to that era / area, but there are quite some bands named after that specific historical place too. The best known might be the Moscow-based Pagan band with Masha ‘Scream’, and even though I do like this Russian band, I prefer the Polish one. The latter hails from a place in the South-West of Poland, and was formed during the first half of the nineties by Mussorgski’s Khorzon (hey, apparently they did reform???). Throughout these years, Arkona recorded and released quite some studio album and split contributions, and recently they did sign to mighty Debemur Morti Productions (it has been too long, way too long, but I am so ‘happy’ to be in touch with this sublime French label again) in order to release their newest epos, Lunaris. That album was recorded at the Metal Sound Studio and the Church Of Chaos Studio, and the six tracks have a total running time of almost fifty minutes. Lunaris once again proves this Polish act’s superior existence. Okay, I admit that I am sort of addicted to Nineties-styled Black Metal (no matter the lyrical content – I’m quite open-minded), but Arkona never failed, and with this new album they do not either. This time too they convince with their unique song writing abilities and performance skills. Quite fast and energetic riffs function like the spine of the long tracks, with grandiose melodies that sort of paint an epic landscape. There are permanent interchanges in structure and tempo, like collages of coherent elements from a same-minded origin. It’s oh so organic, despite the diversity in elements. All this gets beautifully (indeed, never thought I would have to use this word while reviewing) interspersed by magnificent keyboard lines (I will come back to it in a next phrase) and quite some hypnotic tremolo riffs (like in Ziemia, for instance – which means ‘Earth’, by the way). In general, the better part dwells in between quite slow and mid-tempo. 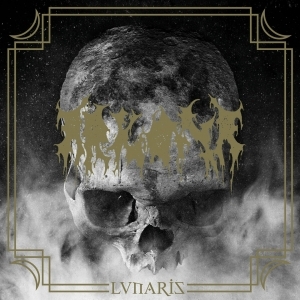 It suits, for that fact surely, and strongly / convincingly, characterises the epic nature and the mystic atmosphere of this album (and Arkona’s aural qualities in general). About the synths, well, they are so important. No, it’s not that the whole album is permanently injected by keyboards. But they act like a canalisation of spheres, emotions, and the expression of ideas and concepts, as meant by the band. Sometimes it’s rather ‘colouring’ from the background, then again it does define the essence of the concept (no matter when those keyboards are prominently orchestral or distantly floating). More important is that those keyboards never completely ‘take over’ the song, but they do act as a full partner, collaborating naturally with the vocals (grandiose screams, by the way, by Necrosodom, whom you might know from bands like Thunderbolt, Shemhamforash, Deus Mortem, Anima Damnata or Azarath), guitar leads (by newly recruited guitarist and Taran’s Nechrist, who was part of the live line-up since a couple of years), and the whole rhythm section (also including founding member and frontman Khorzon and drummer Zaala). In conclusion I have not much to add. You might know the excellence of Debemur Morti Productions’ magisterial roster at the one hand, and the greatness of Arkona, so: no further comment, except for: highly recommended!! !